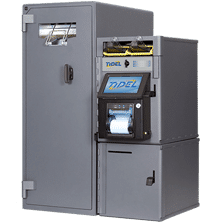 From large hospital conglomerates to individual clinics, Tidel systems have been deployed in several healthcare organizations who have realized the dramatic efficiencies and accountability that a proven cash management system provides. 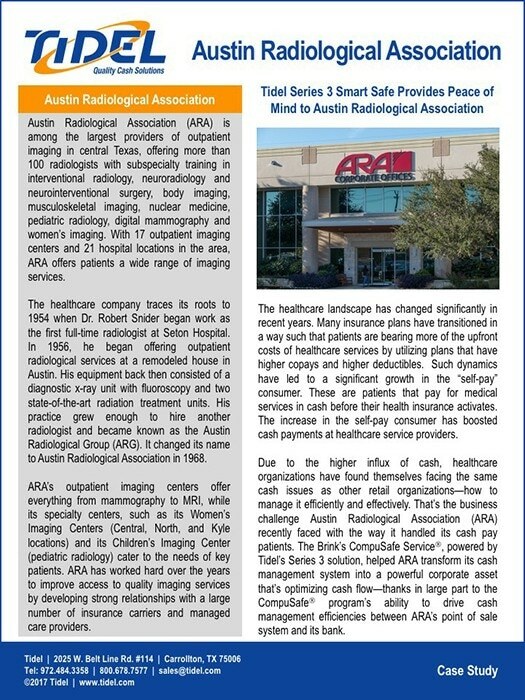 The healthcare landscape in the U.S. is rapidly changing. With the introduction of the Affordable Care Act, consumers are taking more control over their health care and, as a result, many businesses have been borne out of necessity to address the more educated and involved consumer. The adoption of the Affordable Care Act has also necessitated healthcare organizations to balance changing reimbursement methods with the potential increase of patient volume as more people become insured. 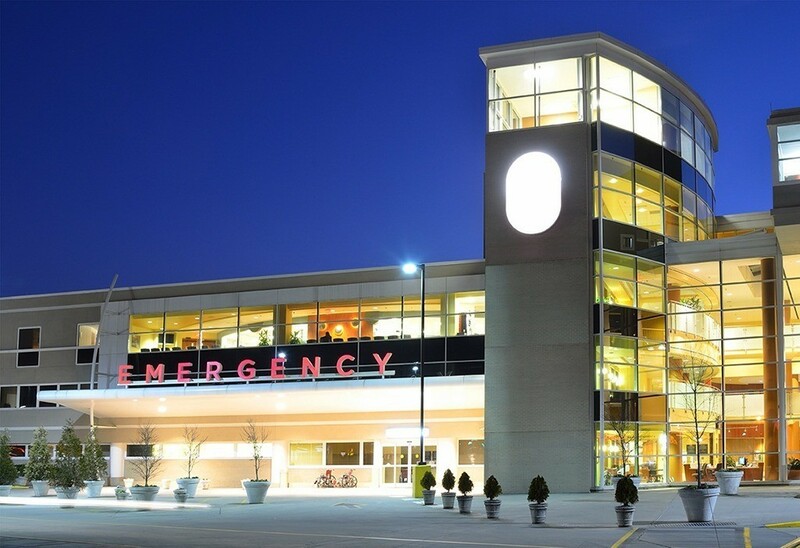 As a result of this legislation, key growth areas for the healthcare industry are projected to be ambulatory care facilities, such as surgery centers, cancer centers, imaging centers, neighborhood-focused community clinics and medical office buildings. Large hospitals have also evolved, fostering environments that are more inviting to patients and their families. From Wi-Fi hotspots, expansive family lounges, to the offering of popular quick serve restaurant and coffee shop brands, hospitals are making necessary investments to adapt to the changing consumer lifestyle, and to also capture new revenue streams. All of the above trends are driving the need for such organizations to implement a proven cash management system. Patient copays, pharmacy prescriptions, restaurant meals, and items purchased in a gift shop are often transacted in cash. For large entities, such as health care clinic brands or well-known hospital conglomerates, the daily cash volumes can be overwhelming without a proven solution. Tidel is addressing the cash management needs of this ever-changing healthcare landscape. 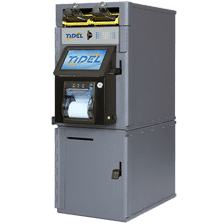 Tidel systems have provided such entities the solutions they need to secure and automate their cash business, taking the worry away and allowing them to focus on patient care. Below are a few Tidel systems that have been deployed in several healthcare organizations. To learn more about how Tidel can help your healthcare business, please contact us at 1-800-678-7577, or write to sales@tidel.com. Throughout our history, we’ve helped hundreds of clients become more efficient, secure, and profitable in how they manage their cash. Some of our clients have agreed to discuss their success with Tidel publicly. Please click on any of the case studies to the right to read more about how these organizations have benefited from having Tidel systems in their business.